DIVINE CHRISTIAN GIFTS - Immaculate Heart of Mary 2019 Calendar. Immaculate Heart of Mary 2019 Calendar. 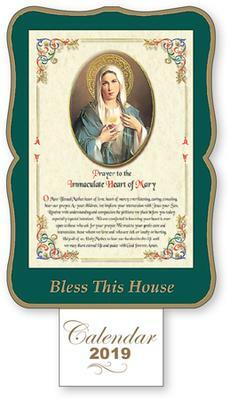 Immaculate Heart of Mary bless this house laser cut wood plaque calendar.